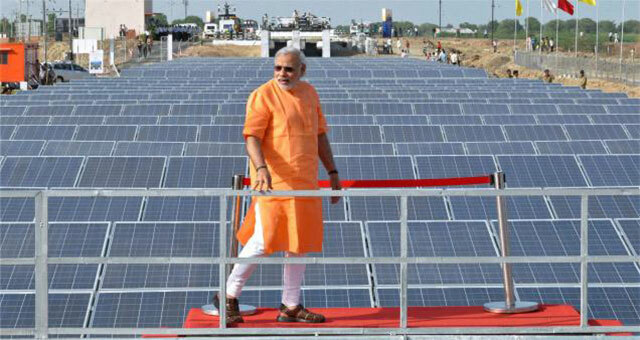 India has set up a humongous target of installing 175 GW of solar power by 2022. Not only does this requires a huge commitment on the part of the Indian solar players but also demands a large financial obligation. It is estimated that solar, alone, would require $100 billion in debt to reach 100 GW. Though the recent budget has announced financial aid to the solar sector but it is a marginal increase. Moreover, the budget has ignored solar rooftop and storage segments which should have been prioritized. In 2016-17 INR 20 crore was allocated for developing energy storage technologies. However, there is no allocation for energy storage in the most recent budget. There was no allowance for electric vehicles as well. Lower import duty on items (LNG, solar tempered glass) used in making solar cells and panels. Also read What You Need To Know About India’s First Solar Powered Village. Allocation to the Ministry of New and Renewable Energy is INR 5,473 crore, compared to INR 5,036 crore last year. No direct support was announced for rooftop solar. Financial support to the Solar Energy Corporation of India (SECI) has been reduced by 50% to INR 50 crore. Funding for research and technology development remains constrained with just INR 144 crore (nearly half of last year’s allocation). This could limit the scope of further learning and commercializing the usage of solar plus storage in India, which is set to explode at exponential rates elsewhere. There have been ambiguities regarding the impact of GST on the solar market in India as well. Another uncertainty is the transfer of coal cess to the National Environment Fund, funds from will be utilized for the renewable energy projects. Search by Tags:: How has the Indian Budget affected the Indian solar industry?, How will Indian Budget 2017 affect the solar industry in India?, Is rural electrification in India prioritized under the Budget 2017?, Is the Indian Budget against the development of the Indian Solar Industry?, Is the Indian Budget in favor of the Indian Solar Industry?, What financial aid has been announced for the Indian solar industry in the recent budget?, Will the Budget 2017 help teh Indian solar industry to grow? I feel budget allocation for solar energy is not negative as classified in your article. Thanks for your comment Rajat! Everyone has his view point. I feel with so much going on in the country and so much more to achieve, we definitely need more encouragement on the financial front.